The Foodbank of Santa Barbara County has announced the third annual Santa Barbara Fork & Cork Classic to be held Sunday, April 10, 2016, from 3-6 p.m., at the Santa Barbara Polo & Racquet Club in Carpinteria. The event’s proceeds will benefit the Foodbank’s 300 local nonprofit partners who supply nutritious meals to Santa Barbara County residents. Last year alone, the Foodbank served 146,198 people, of whom 51,533 were children. While an estimated 71 percent percent of County households reported using three or more coping strategies for getting enough food in the past 12 months, 70 percent report choosing between paying for food and paying for utilities. Fork & Cork Classic 2016 will honor the following for the contributions they have made towards advancing their respective crafts as well as their efforts to support the local community, including the Foodbank: Dario Furlati, chef-owner at Ca’ Dario Ristorante and Ca’ Dario Pizzeria; Steve Beckman, winemaker at Beckman Vineyards; and Jack Motter and Jeff Kramer, farmer-owners at Ellwood Canyon Farms. Nestled between the Santa Ynez Mountains and the sparkling blue Pacific Ocean, the Santa Barbara Polo & Racquet Club is the ideal spot to enjoy an curated collection of premium local wines and fantastic food prepared by over twenty of Santa Barbara’s top chefs. General admission cost $95. Guests will enjoy tastings from an array of select wines and special dishes prepared by over 20 of Santa Barbara’s top restaurants. For the price of $125, VIP guests will enjoy early entrance to the event at 2:30 p.m. and access to the VIP Lounge, where they can mix and mingle with old friends and make new ones. For a full list of sponsors, participating restaurants and wineries, visit the Fork & Cork Class website. This entry was posted in News on March 14, 2016 by Judith Smith-Meyer. The Allan Hancock Foundation puts aside about $500 a month from the budget to buy items like cereal, crackers, popcorn, and other snacks. 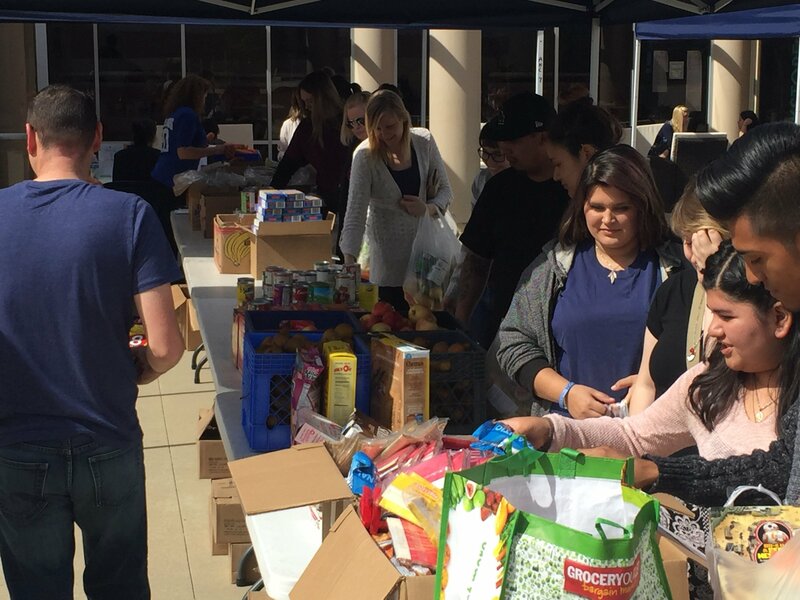 “A lot of people don’t exactly have what most people have, you know, speaking financially… Not everyone gets a meal at night and not everyone is able to go out and purchase things that are of the norm,” said Christina Franco, student. The food is handed out to students on the first and third Thursdays of each month. 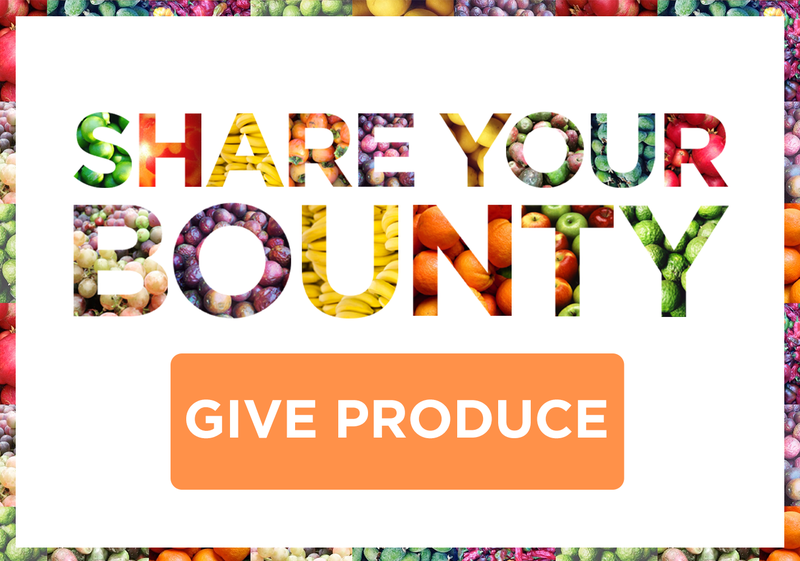 Help GROW the Foodbank’s Backyard Bounty Program. OUR GOAL IS TO HARVEST 225,000 LBS OF PRODUCE BY APRIL 1. The need: During the winter months, we struggle to keep our warehouses stocked with produce. Fuel our trucks (delivery of bins to harvest sites, collection of harvests & transportation back to Foodbank warehouses & delivery to Foodbank nutrition programs & those in need). Power our cooler/freezer unit & properly store fresh, local produce. Support Foodbank staff team members who manage the program & produce inventory & delivery to the community. Provide Harvest Kits for volunteers with clippers, pole pickers, ladders & first aid kits. Distribute outreach and educational materials for volunteers, farmers & homeowners. This entry was posted in Uncategorized on March 10, 2016 by Judith Smith-Meyer. The weatherman tells us today will be pretty nice. Highs in the 70s, a little breezy perhaps, with no chance of rain. Sounds like a good day to get out and do something special, maybe go for a run or brisk walk, play some golf or soccer, get the grill ready for a back-yard barbecue later. Help the Foodbank of Santa Barbara County’s Backyard Bounty program harvest fresh food to be distributed to those facing food insecurity or outright hunger!!!! We added the exclamation marks for emphasis, because this may be one of the most important things you do this spring, at least with regard to making our communities better. Backyard Bounty is a mostly-volunteer program that helps the Foodbank harvest fresh produce from farms, orchards and the back yards of folks who like to grow fruits and vegetables. And there is plenty of that. Each year Santa Barbara County farms, orchards and backyard gardens produce about a billion dollars worth of fruits and vegetables. The problem is, there is so much of these nutritious goodies that a lot goes to waste. Experts reckon about 30 percent of what’s grown locally never is harvested, and ends up rotting in fields, orchards and gardens. To keep that waste from occurring again, Foodbank officials are seeking cash donations and volunteers to help harvest and distribute 225,000 pounds of fresh produce. And now is the time to get the crops in. The three-month window opened in January, and so far Foodbank staff and volunteers have harvested 80,000 pounds of fresh local produce. All that from about 40 sites within the county. Here’s why this is important: In a typical year, the Foodbank serves about 140,000 people throughout Santa Barbara County, which is about 25 percent of the total population. It’s hard to imagine a place as beautiful and rich as Santa Barbara County has a hunger issue, but we do, and it’s chronic. More than a third of recipients of Foodbank’s help are children, kids 18 and younger. Nearly a quarter of the hungry families and individuals are military veterans, who should be getting more help from our federal government, but are not. To help those folks, Foodbank collects, buys and distributes more than 9 million pounds of food a year. Foodbank supplies about 330 charitable organizations, who in turn operate at about 100 sites countywide. It’s a big job, and that’s why the folks at Foodbank need your help — especially with the harvesting of fresh fruits and vegetables during these winter months. Half the food that goes to those in need is the fresh stuff volunteers and Foodbank staff harvest. You have options. You can volunteer to do some harvesting work by contacting the Foodbank center in your community, or you can make a cash donation. A dollar invested at Foodbank equates to a yield of nearly five pounds of fresh, local produce. Hunger in Santa Barbara County is real, and it hurts in many ways. Nearly three-quarters of food-insecure families here must make a choice each month, buy food or pay bills. On a personal level, kids without enough to eat have more trouble in school. For them, hunger is a painful distraction. Contact Foodbank, and help end that pain. This entry was posted in News on March 4, 2016 by Judith Smith-Meyer.